Home » Volkswagen Golf GTI » What’s new about the 2019 Volkswagen Golf GTI? What’s new about the 2019 Volkswagen Golf GTI? 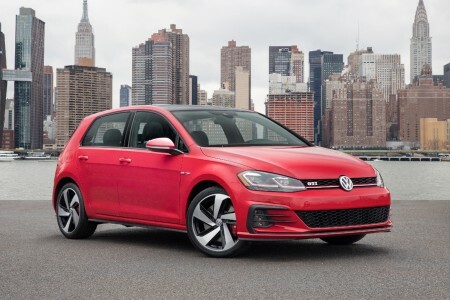 If you’re wondering what the differences are between the 2019 Volkswagen Golf GTI vs the 2018 Volkswagen Golf GTI, you may be happy to hear that Volkswagen has made quite a few changes to this hatchback for the 2019 model year. These updates include a new, limited-edition trim level, better performance and a brake upgrade. Continue reading to learn more about the latest version of this beloved hatchback. Read More: How safe is the 2019 Volkswagen Tiguan? Upgraded brakes and a limited-slip differential are both new additions to the 2019 Golf GTI that come standard in all trim levels. The turbocharged, 2.0-liter, four-cylinder engine found in the 2019 Golf GTI gained eight horsepower as well, putting this hatchbacks’ performance ratings at 228 horsepower and 258 pound-feet of torque. For 2019, Volkswagen is offering the Golf GTI in a limited-edition trim level: Rabbit Edition. 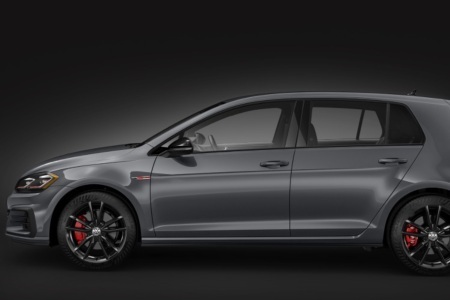 The 2019 Golf GTI Rabbit Edition comes with unique exterior styling that celebrates over thirty years of Golf GTI history. Other features found in the Rabbit Edition trim include keyless entry and push-button start, rear cross-traffic alerts and blind-spot monitoring. The highest trim level available for the 2019 Volkswagen Golf GTI is the Autobahn trim. Numerous luxury features and conveniences such as a navigation system, a self-parking system, lane keeping assistance, dual-zone climate control, automatic high beams and a Fender premium audio system all come standard in 2019 Golf GTI Autobahn models. If you’re looking to purchase a new or pre-owned vehicle in Thousand Oaks, CA, there’s no better place to start your search than our online inventory, which allows drivers to filter vehicles by qualities such as trim level, price range, color and more. How much can you store inside the 2018 VW Golf GTI? How safe is the 2018 Volkswagen Golf GTI? This entry was posted on Friday, January 25th, 2019 at 10:22 pm	and is filed under Volkswagen Golf GTI. You can follow any responses to this entry through the RSS 2.0 feed. You can skip to the end and leave a response. Pinging is currently not allowed.